On the 6th (Mon), learn about wildlife with up-close encounters at Padmaja Naidu Himalayan Zoological Park and then get to know the fascinating history of Chowrasta. Keep things going the next day: see the interesting displays at Himalayan Mountaineering Institute, take in the spiritual surroundings of Japanese Peace Pagoda, then don't miss a visit to Batasia Loop, then contemplate in the serene atmosphere at Guru Sakya Monastery, and finally take some stellar pictures from Tiger Hill. Use Inspirock's suggestions to plan your Darjeeling trip and find the best activities and attractions for your vacation. New Delhi to Darjeeling is an approximately 4.5-hour combination of flight and taxi. You can also drive; or do a combination of train and taxi. In May, Darjeeling is a bit cooler than New Delhi - with highs of 38°C and lows of 26°C. Finish your sightseeing early on the 7th (Tue) to allow enough time to drive to Gangtok. Kick off your visit on the 8th (Wed): steep yourself in history at Nathula Pass, then don't miss a visit to Baba Harbhajan Singh Mandir, and then explore the activities along Tsongmo Lake. Get ready for a full day of sightseeing on the next day: take a stroll through MG Marg, make a trip to Flower Exhibition Centre, make a trip to Hanuman Tok, then get great views at Ganesh Tok View Point, and finally enjoy breathtaking views from Tashi View Point. For traveler tips, photos, where to stay, and more tourist information, use the Gangtok online sightseeing planner . Drive from Darjeeling to Gangtok in 2 hours. Finish your sightseeing early on the 9th (Thu) to allow enough time to drive to Pelling. Kick off your visit on the 10th (Fri): explore the ancient world of Rabdentse Ruins, don't miss a visit to Pemayangtse Gompa, then admire the sheer force of Kanchenjunga Falls, and finally snap pictures at Singshore Bridge Bungee Jumping. To find ratings, maps, traveler tips, and tourist information, read our Pelling journey planner . Traveling by car from Gangtok to Pelling takes 2 hours. In May, plan for daily highs up to 38°C, and evening lows to 26°C. Finish your sightseeing early on the 10th (Fri) to allow enough time to travel to Hyderabad. 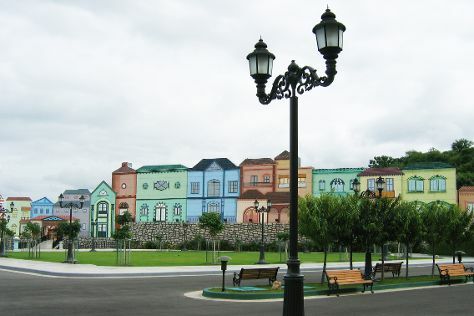 Start off your visit on the 11th (Sat): find something for the whole family at Ramoji Film City. On the 12th (Sun), you'll have a packed day of sightseeing: make a trip to Charminar, see the interesting displays at Salar Jung Museum, then contemplate the long history of Golconda Fort, and finally contemplate in the serene atmosphere at Birla Mandir. To see more things to do, other places to visit, ratings, and tourist information, read Hyderabad trip itinerary tool . You can do a combination of taxi and flight from Pelling to Hyderabad in 7.5 hours. Alternatively, you can drive; or do a combination of taxi and train. Expect a bit warmer temperatures when traveling from Pelling in May; daily highs in Hyderabad reach 46°C and lows reach 31°C. Wrap up your sightseeing on the 12th (Sun) to allow time to travel back home.